A site made for puzzle fans. 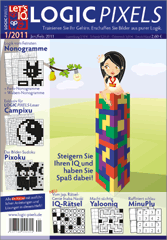 Play Nonograms, Campixu and MinuPlu! 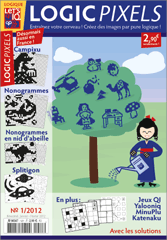 First issue of Logic Pixels appears in France. 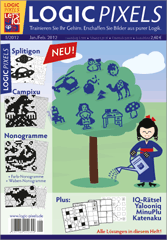 PuzLogical launches its second magazine »Logik Akrobat« including classic logicals (logic text puzzles) and other IQ puzzles. The first Campixu puzzles by PuzLogical are published outside Germany, Austria and Switzerland: In Great Britain, Ireland, Spain and Argentina puzzle fans can enjoy the totally addictive puzzle type. PuzLogical launches the new website www.minuplu.com where one can play and download MinuPlu puzzles for free. 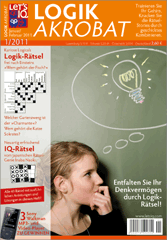 Besides Campixus, Pixokus, Nonograms (Nonogramme) and Honeycomb puzzles (Waben-Nonogramme), there are two interesting science articles in each issue.